Starting with release 2.14, PES2Card utility will provide support for writing native Pfaff 2140 cards. This means that Pfaff 2140 owners no longer have to use the Pfaff 7570 format to write designs for the Pfaff 2140. As a result all restrictions imposed by the Pfaff 7570 format like maximum design size of 32000 bytes per design are now lifted. Limited color information is provided; full color information will be provided in the next release of PES2Card utility. Q: Which cards can be used? Q: Can I add a design to a card written by PES2Card3 using the 2140? A: Depends on the card. Cards containing a 29C010, 29C020, 29C040 chip or SRAM cards are candidates. Q: How many designs can I write to a card? A: The number of designs is dependent on the card capacity and also on the number of colors in the designs. You can write roughly 50.000 stitches per 128K. Q: Is there a design size limitation? A: Not really, 65.000 stitches per design in the first release. Q: Is the number of color changes limited? A: Not really, 100 color changes in the first release. Q: Will PES2Card3 work with the new 2140/44 blank card that Pfaff has come out with? A: Yes, and... the PA29C040 has the same chip. Q: Do I need to convert designs to VIP format? Q: Which formats can be written directly to a Pfaff 2140 card? Q: Do I need special firmware in my 2140? Q: I have a design that is smaller than 100*100; the 2140 shows the 255*140 hoops is needed; how come? A: The 2140 shows which hoop is needed for the maximum design size (after resizing). Q: Does PES2Card3 support all Pfaff blank cards? A: Yes, PES2Card3 can read and write all three types of purple Creative Cards (128K flash, 256K flash, 512K SRAM) and also the red Creatieve Card (512K flash). 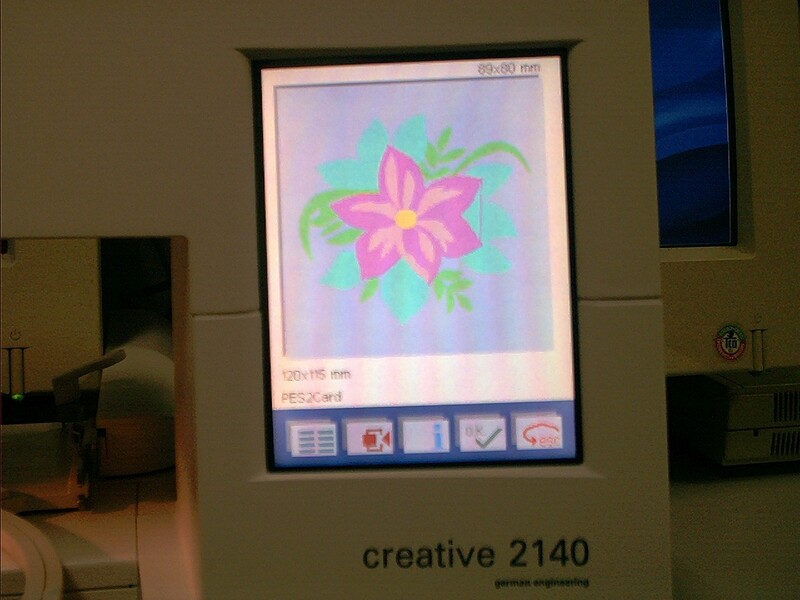 PES2Card3 can read and write all four Creative Cards for the 7570 type machines. Q: Can PES2Card3 write to larger cards than the 512K cards? A: Yes, PES2card3 supports all cards sizes the 2140 handles, up to including 2M (= 2048K). Q: I have a 7570 card I no longer use. Can I re-use this card for the 2140 using PES2Card3? A: If the card is rewritbale (shown in Card Information), you can use this card in PES2Card3 for the 2140.